it has been a busy weekend with little time to get on the computer to post; I expect the next week will prove to be more of the same. first of all, the 33rd cleveland international film festival started thursday. this year I was smart I signed up to work as a volunteer - I've worked for money, food, books, and even art, but this will be the first time I've worked for films! my first session was friday, I didn't voluntee over the weekend as we had other things planned, but I'm signed up to work everyday but tomorrow for the rest of the festival. 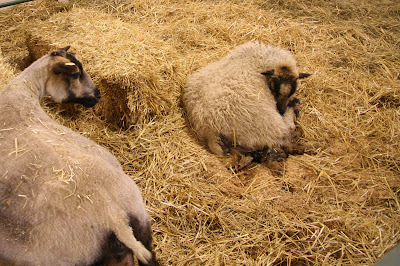 one of our weekend activities was our annual pilgrimage to the farmpark to attend the spring quilt show, but really viewing the quilts is just an excuse to check out the baby animals! and were there babies!! in fact we even had the good fortune to be there when a lamb was born. the photo on the right shows a mother sheep washing her baby born just a few minutes earlier. it is amazing to see how just twenty minutes after being born a baby lamb can get on it's feet. 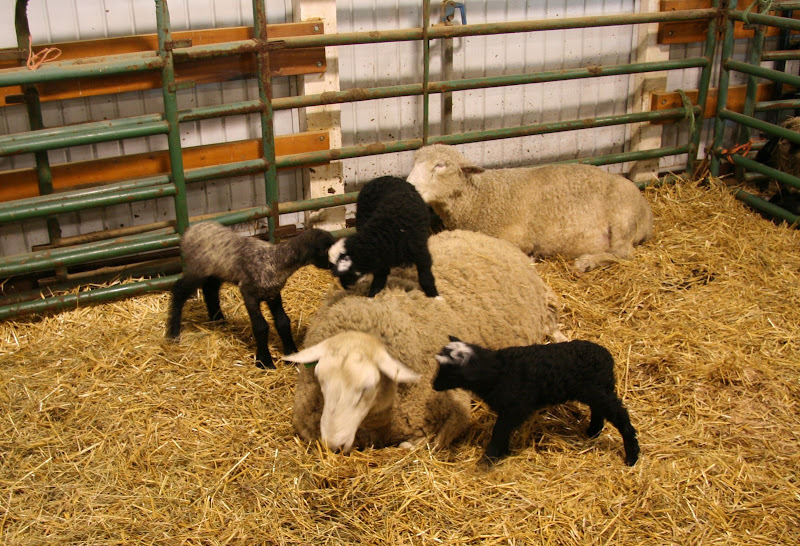 over the last week or two it's been a virtual lambing extravaganza at the farmpark. baby lambs weren't the only babies around, there were also the adorable piglets. you should have seen these guys when it came time to belly up to the milk bar. it was hilarious! connie dover's beautiful medley cantus, from her album somebody. Connie Dover is a total discovery for me. Just beautiful, thanks, will check her out on youtube. The film festival looks interesting. Hope you get to see the ones you want. Have a good one, kimy. Great shots of motherhood and babyhood. Another reason I don't eat pork. Have fun at the festival! Great photos - especially the piglets. So sweet. But I still eat pork. Thank you so much for Connie Dover's sweet voice. My YouTube "favorites" list is growing, growing. Wow it's like I'm discovering you all over again thanks to a decent connection that allows your photos to build for once! Everyone loves a baby thing! Right, I'm off to travel vicariously through New York! 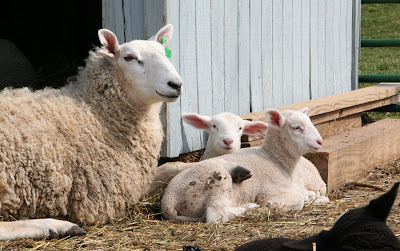 Love to watch the lambs & calves around here this time of year, & you took some really wonderful pix. The song was quite lovely-- thanks. Interesting! Is Connie Dover Irish by any chance? Her work here sounds a lot like the things that Nóirín Ní Riain does, and Moya Brennan when she did her solo gig outside Clannad. I don't eat port or lamb. Now I'm working on chicken and beef. 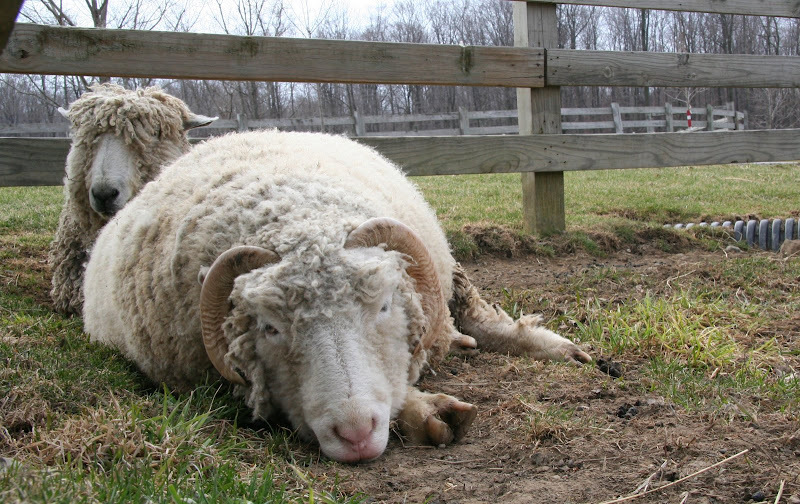 I so love sheep. They are the absolute cutest, and what wonderful photos! I love the babies. My husband read a book, years ago, where the parent animals said they were okay with being eaten but "just don't eat our babies". We've not had lamb since. I haven't had veal in 20 years. Oh heck, if I had to kill what I eat, I'd be a vegetarian. Why did I go here? great pictures...love the babies suckling...now this is a true introduction to springtime! this is so cute.Lambs and goats are great.Yes I'm serious,I've always liked those animals,and the babies are so cute! I don't eat any meat at all and I'm fine like that! 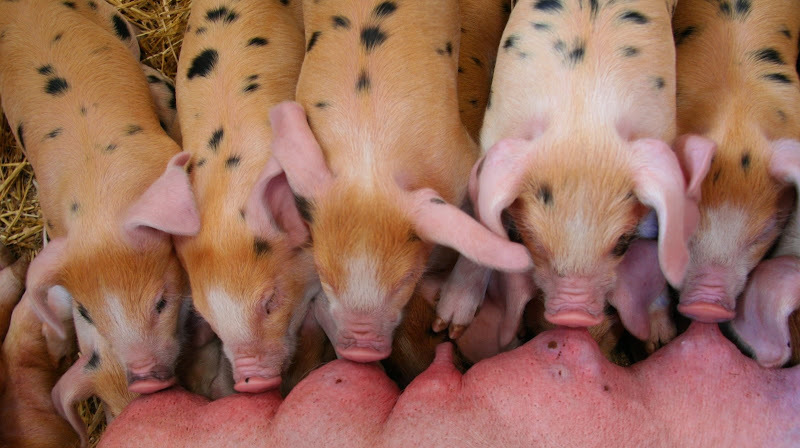 Don't you love piglets' double-decker feeding strategies? Beautiful furry Moms and babes. rlb....I'm happy I could introduce you to connie, she's been a favorite of mine for quite a while, I've never seen her in concert can't even remember how I heard of her, but the instant I heard her voice I fell in love with it! the film festival is GREAT....so far I've seen four films...so far all documentaries.... hopefully I will find time to write about them, but I don't know if that will happen this week! junk - good for you! the festival was great ....the dancing forest film was very interesting and generated much thought....then this evening during volunteer down time I snuck into a documentary called 'a place to live' about the first affordable senior housing complex for gay and lesbians - was GREAT and inspiring....hopefully cleveland's complex will be as nice!! baino - let's hear it for good internet connections, hope you enjoy the virtual tour of nyc!! lol...good for you...I was vegetarian for 15 years, but now I'm omnivore or I should say a cute-atarian....I don't eat what I think is cute...so no babies, no ducks, no rabbits, no goat, no sheep, no deer or other wild critters and by all means no puffins!!! flawsnall - oh the piglets were tooooo cute! candi - good for you!! meri - the double decker action had me in stitches!! squirrel - touchable cuteness....oh they were all so soft and sweet! Wonderful pictures. I felt sorry for the preggers ewe but she didn't look too unhappy. Loved the milk bar too. AW! AMINALS ARE TOO CUTE, especially when they are babies! Thanks for these awesome pics! EWE! Yes, what a great word.